Joycelyn Taylor took a precious day away from her business in June 2017 to head to Albany. It’s tough for any entrepreneur to get away from the office, but she had to tell her story to state legislators. She and 30 other owners or representatives of minority- and women-owned business enterprises (MWBEs) from New York City understood that the reforms for which they were advocating that day would affect thousands of people. “It was a very good experience to meet others supporting MWBEs and having senators talk to people whom their decisions impact, telling senators our story, telling them about how their decisions have an impact on our lives and our families,” says Taylor, CEO and co-founder of Brooklyn-based TaylorMade Contracting. Taylor and her fellow entrepreneurs weren’t alone. A few dozen NYC government reps attended, including then-Deputy Mayor Richard Buery. The visitors were lobbying to change state restrictions on city contracting. This change, along with other efforts by city government, would enable more city dollars to be directed in a way that intentionally and helpfully supports MWBEs. City halls across the country grapple with this issue. Mayors, council members and agency staff who want to cultivate more equitable economies are realizing that the vast majority of local government contracts go to business owners who don’t reflect the demographics of the cities in which they work. For example, a majority of NYC businesses are minority- or woman-owned. But less than 5 percent of the city’s contracting dollars went to those businesses for the 2017 fiscal year. A formal competitive process takes time, and time is money. In NYC, the median time it takes for a full contract vetting process is 188 days. That’s time that can be especially hard on MWBEs, which, because of historic racial wealth gaps, typically don’t have the cash cushions of wealthier, mostly larger and mostly white-owned firms that have historically dominated city contracting. After Taylor’s trip this summer, legislation to lift that threshold finally passed both houses of the state legislature. Governor Andrew Cuomo signed the bill in December 2017, giving city agencies in NYC the authority to award contracts up to $150,000 to certified MWBEs without having to go through a formal competitive process. Out of all the levers that mayors and cities across the U.S. can pull to foster more equitable economies, from local minimum wages to paid leave to fair scheduling to anti-wage theft policies, few are as powerful and yet so dependent on city hall as local public procurement. “There are hundreds of moving parts to this, but if the mayor isn’t on board, then those moving parts just kind of sputter around,” says Lee Huang, senior vice president at Econsult Solutions, a Philadelphia-based research firm. On the Albany trip, Buery’s presence was an unprecedented indicator of NYC City Hall’s seriousness about the issue. If cities can get all the parts moving in harmony to increase MWBE procurement, the benefits could be immense. A contract from a local government, or an anchor institution, or from a large corporation can put businesses on a path to greater growth, which in turn creates better-paying jobs and higher net worth for owners. StreetWise MBA, a 13-year-old curriculum designed by Boston-based nonprofit Interise, helps growing businesses become contractors to governments or larger institutions. Interise is focused on the training and networking aspects of strengthening MWBEs. City agency staff are often part of the Streetwise MBA course faculty in any given city where it’s offered. The program also builds mentor-mentee relationships that pair MWBEs that have been successful getting city contracts with those businesses that are on the way. StreetWise MBA offers its curriculum in 85 communities across 45 states. Its track record reveals what’s at stake when it comes to boosting MWBE procurement dollars. Businesses that completed StreetWise MBA and then secured contracts reported better growth than average businesses that didn’t get contracts: seven new jobs at an average salary of $58,000, compared with only five new jobs at an average salary of $48,000 for StreetWise MBA alumni that had not yet gotten a contract. According to Interise, 34 percent of StreetWise MBA alumni businesses are minority-owned, and those businesses have gained contracts at a higher rate (37 percent) than program alumni overall (30 percent). New York City was the first city outside of Boston where Interise took its StreetWise MBA program. The nonprofit began working with the city’s Department of Small Business Services to offer the curriculum to city-certified MWBEs starting in 2010. As of last year, that original partnership alone had led to 100 MWBEs securing $130 million in public contracts, creating nearly 800 new jobs. Opening public procurement doors and putting more historically marginalized businesses on that higher growth path has been a civil rights priority for as long as Maya Wiley, daughter of civil rights icon George Wiley, can remember. The former NYC Citywide MWBE Director worked during her tenure to bust through that $20,000 limit. “Now that we’re in a context where the country is facing massive cuts to critical programs for low-income communities, it’s all the more important to focus on supporting the fastest-growing businesses in the country — businesses owned by women, and people of color who are more likely to hire people of color from their own communities,” Wiley says. In October 2017, NYC could report that City Hall agencies had, for the first time, awarded more than a billion dollars in contracts to MWBEs in a single fiscal year. That’s more than double the amount City Hall awarded in fiscal 2015. For some, that’s still not good enough. Bertha Lewis, president of the Black Institute, once considered herself a staunch supporter of NYC Mayor Bill de Blasio, but she’s become one of his fiercest critics — especially on the issue of MWBE procurement. But in a city where more than 60 percent of the population are minorities, and more than 50 percent of businesses are minority- or woman-owned, $1 billion in MWBE contracts still represents a mere 4.7 percent of the $21 billion in public procurement contracts awarded by city agencies in fiscal year 2017. Not every mayor is guaranteed to pull the lever of MWBE procurement as a way to support low-income communities or to advance racial or gender equity. But in Philadelphia, Huang has closely observed multiple, successive mayors make it a priority. Since 2009, the city of Philadelphia has contracted Econsult to conduct and publish an annual study detailing the extent of MWBE participation in city procurement. A May analysis, covering about a billion dollars in city contracts for FY2016, revealed that MWBEs in Philadelphia received 30.7 percent of the public procurement contract dollars that were analyzed, including subcontracts and quasi-public agency contracts. That’s a stark contrast to NYC. Mayor David Dinkins, New York’s first black mayor, created the city’s first MWBE program during his 1990-1993 term. Mayor Rudy Giuliani campaigned against the MWBE program and abolished it upon entering office. During Mayor Mike Bloomberg’s 12-year tenure, it was mostly an afterthought. “It is embarrassing NYC is so far behind,” says Lewis. Unfortunately, the rest of the country’s experience has been more like NYC than Philly. “This whole minority business infrastructure built over a 60-year period is broken, it’s inefficient, dysfunctional, not coordinated, totally fragmented and senseless,” says Denise Fairchild, president and CEO of Emerald Cities Collaborative, a national nonprofit working to get more MWBEs ready to be contractors in emerging sectors such as green infrastructure and clean energy. Comparable data on the issue is hard to come by. While many cities do produce what are called disparity studies, which are meant to justify the need for MWBE procurement support programs, the studies are tailored to each city’s unique circumstances. Few cities provide data to directly answer the question, “Out of all public procurement dollars spent in a given year, how much went to MWBEs?” Some cities report a percentage, but in calculating that percentage don’t count vendor sectors where available data shows there are no potential qualified MWBEs to bid on those contracts. Some cities determine those sectors using data that’s woefully out of date. Many cities don’t track any data on the demographics of vendors or potential vendors. Nevertheless, a range of programs do address the issue, and in some cities, the programs are more robust than in others. In 2017, Living Cities (a collaborative of financial institutions and foundations that focuses on innovation and equity in cities) began focusing on increasing MWBE procurement in five cities (Charlotte, Chicago, Los Angeles, Memphis and Milwaukee) for its City Accelerator Program. Reynoso says early challenges have emerged across all five cities, such as forecasting — being able to look ahead within each agency to plan and announce the next year’s set of contracts. Forecasting contracts can help level the playing field by giving smaller MWBEs or MWBEs that are new to contracting the chance to coordinate workflows — and cash flows — with the possibility of landing a city contract. Stumbling blocks also exist with outreach and certification. MWBE certification has long been a source of frustration for MWBEs and agencies alike. Becoming certified generally requires at least a minimum, and sometimes very invasive, level of vetting to ensure that your business actually does what you say it does, perhaps with some professional references and bank statements. It’s intended to guard against the fraud that once plagued MWBE programs, in which large established prime contractors simply paid “paper” MWBE subcontractors a small cut of the contract dollars to say they had done the required work on a subcontract to meet MWBE procurement goals, when they actually did not. It still happens occasionally, so certification does serve a key purpose. But the certification process can be cumbersome, confusing and, perhaps worst of all, redundant. In 2010, the city of Philadelphia abolished its own internal MWBE certification system. Instead, the city chose to recognize existing MWBE certifications from a laundry list of agencies, including a few in nearby states as far away as Virginia (though not from New York state or NYC). According to Huang, the move led to an increase in the number of MWBE vendors listed on the city MWBE database for city contracting — from about 1,300 to more than 2,600. NYC has not taken the same approach. The city has set a goal to reach 9,000 city-certified MWBEs by 2019. It did reduce paperwork by 30 percent and created a separate, simpler application for small businesses that are sole proprietors. It also created a fast-track certification for MWBEs with certifications from a list of approved agencies. Subway ad campaigns (featuring MWBE-certified contractors) encourage minority- and women-owned businesses to get certified. And NYC celebrated its 5,000th certified MWBE in 2017. The NYC mayor’s office has 35 agencies within its purview. No one had ever sat down to map out the contract awarding process, until now. Last year, the Mayor’s Office of MWBEs retained the services of Armand Resource Group (ARG), a city-certified MWBE, to capture those contracting processes. “That’s not [the work] people see. There’s no subway ad for that,” says Buery, who has since stepped down from his post. On an ongoing basis, on behalf of the Mayor’s Office of MWBEs, ARG interviews procurement officers from every agency, goes through the procurement documents, and interviews MWBEs asking them about their experience in the city contracting process. 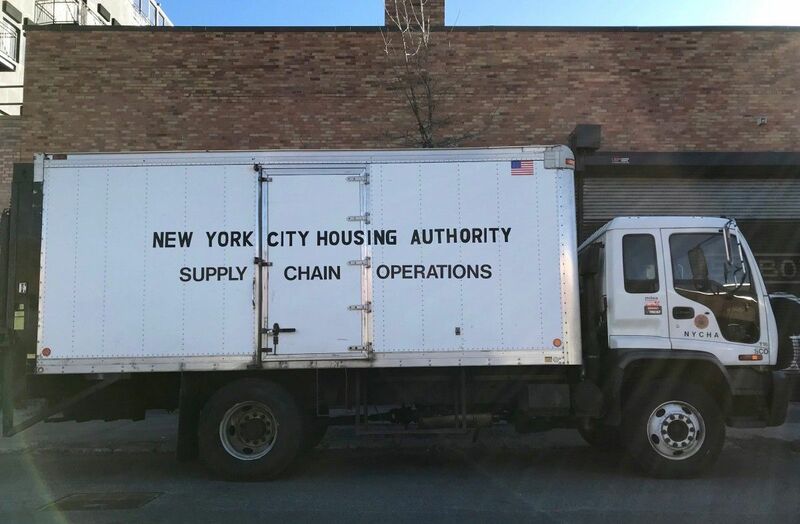 “Sometimes [agencies] are buying things that are very similar, but they have different relationships with different vendors with different contracting processes and different infrastructures for supporting small businesses or MWBEs,” Buery explains. Tools and methods also exist to make it less intimidating for firms to participate in the public procurement bidding process for the first time. Huang sees two ways that unbundling contracts can work. One way is to break off one or more smaller pieces of a large contract. For example, on a big HVAC installation contract, there may not be an MWBE firm available with the capacity to do the HVAC work, but a city could target the transportation and logistics piece as a subcontract so the award could go to an MWBE trucking firm. The other way is to break up a longer, multiyear contract into phases that represent the same amount of work and roughly the same amount of dollars. The smaller contract amounts often mean an MWBE can avoid or reduce the cost of construction bonding. A construction bond is like an insurance policy that a contractor or subcontractor may have to take out when they agree to a project; the bond ensures that if they can’t get the work done, another firm will come in and complete it. Taking out a construction bond often requires significant cash on hand — another hidden financial barrier for MWBEs. Prequalified lists are another tool to make the bidding process more inclusive. With NYCEDC, for example, an emerging contractor can go through a training course and then be placed on a list of other emerging contractors of similar size and experience. The lists may or may not be exclusive to MWBEs, but the NYCEDC can then bid out certain projects exclusively to that list. “It creates a whole lot more opportunity, assigning projects to a prequalified list, creating competition only among businesses of similar size and experience,” says Jonnel Doris, senior adviser and director of the Mayor’s Office of MWBEs. Joining a prequalified list can help MWBEs gain a track record that allows them to pursue more conventional bids in a competitive way. “If you’re going to bid a $5 million project, you’ve got to be able to show you’ve done five $5 million projects before,” says Fairchild. Corporations and anchor institutions like hospitals and universities are stepping up MWBE contracting commitments and programs, too. The Democracy Collaborative, a nonprofit that does research and builds leadership around equitable, inclusive and sustainable development, has been working with anchor institutions to support more diverse contracting through the lens of building stronger local economies. In January 2017, it formed the Healthcare Anchor Network, consisting of 30 healthcare systems nationwide. “Healthcare systems are recognizing the need for intentionality to overcome the history of discrimination,” says David Zuckerman, who manages the network. Yet such programs remain in danger of going away when there’s a leadership change, he notes. One way to institutionalize it: Make it someone’s job. “There might be an official statement that ‘we’re going to prioritize the effort to increase our spend to MWBEs,’ but it’s not any one person’s job, it’s something extra,” Zuckerman says. While de Blasio made MWBE procurement a priority once again in NYC, it took a while for him to delegate the responsibility to one specific person. Technically, he designated Maya Wiley as citywide MWBE director, but that was one of three, sometimes four hats she wore during her tenure in city government. That was one of the early signals for Lewis that the mayor wasn’t following through on the things that meant most to her. “I asked for a chief diversity officer at the deputy mayor level not wearing any other hats other than dealing with the so-called ‘tale of two cities,’” Lewis says, referring to a refrain de Blasio repeated often in his campaign for mayor in 2013. It’s a tall task trying to break up one of the city’s oldest, most entrenched ole’ boys networks — the lists of existing contractors that today’s procurement officers have often inherited from predecessors. But though things are not moving as quickly as Lewis wants, they are moving in the direction she has demanded. Though it wasn’t his only hat, Buery was the first deputy mayor tasked with oversight of the Mayor’s Office of MWBEs. Doris is the first director of that office, which only celebrated its first birthday last October. Philly’s Office of Economic Opportunity (OEO) and its predecessor, the Minority Business Enterprise Council, have been around for three decades, putting in the nitty-gritty work to build those relationships and hold colleagues accountable for MWBE procurement goals. Emerald Cities has partnered with PolicyLink, a national research and action institute advancing racial and economic equity, to complete a national scan of MWBE procurement policies and programs, from federal levels down to state and local levels. The report will be published in late 2018 or early 2019. It’s a justice issue, too, Emerald Cities’ Fairchild adds. She estimates the need for at least $1 billion in water system investments over the next 20 years, especially owing to the many consent decrees related to poor water quality. Some of that will be financed through municipal bonds, she says, but a lot will be financed through rate increases — and she wants “rate payers” (water utility customers) to exercise the power of their pocketbooks to make sure the people who do that work reflect the demographics in the communities where the work is happening. “Those are opportunities for rate-payers to decide how they want their dollars spent,” says Fairchild. Local governments do remain largely at the mercy of state legislators. In Louisiana, last year state legislators very nearly rolled back the robust local hiring program put in place by the city of New Orleans. The city defeated its opponents on that front because its business community, MWBEs and non-MWBEs organized to protect something they felt was important to the future of their economy. Taylor remains optimistic, based on her experience. After several years of operating as a group informally, in August she and several of her MWBE peers formally incorporated and launched the NYC MWBE Alliance, promising to maintain and strengthen relationships between MWBEs and city agencies, city council members, state legislators, and between MWBEs themselves. She wants MWBE contractors to get and stay organized.